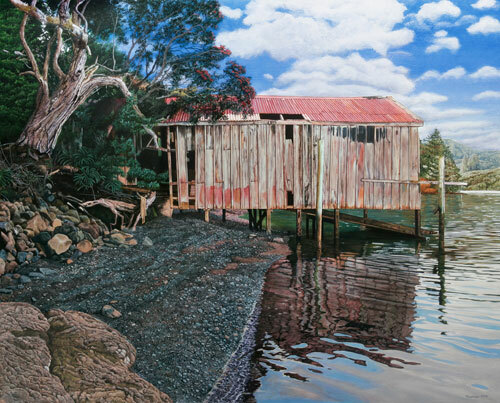 Re-known painter Philip Kilmour contacted me about reproducing his latest painting ‘Whangaroa Boatshed’ to put onto canvas for limited edition prints. Philip is a contemporary realist painter. The original painting measured 1015mm x 840mm. It was meticulously copied in detail, proofed and printed onto canvas. The final reproduction (limited to 75) will measure 24 x 30inches.